Over recent years, we’ve made significant strides to make that a reality. Communicate our understanding of the problem and enhance all of our capacity to respond. The Irish government agreeing to criminalise coercive control. For the first time psychological abuse and controlling behaviour within a relationship would become a crime punishable by up to five years under the new law. Coercive control is the term used to describe the pattern of sustained emotional and psychological abuse of an intimate partner. It can include threats, intimidation, control and restrictions of liberty. It can also include physical and sexual violence, which are often used as tools by abusers to exert further control and fear. We have also helped hundreds of professionals, including judges, government advisors, gardaí, lawyers, policy makers and politicians better understand coercive and controlling behaviour and how to respond to it. Safe Ireland has been working with its members across Ireland for nearly two decades to improve the services available to women and children. We have done this by providing expert support and specialised training. In 2013, Safe Ireland, with its members, developed a framework, including principles and standards, for delivering domestic violence services. We have focused on getting domestic violence higher on the political and policy agenda. We have advocated for many changes to infrastructure and have played a vital role in the development of public policy, targeting the causes of domestic violence and improving how to respond to it. We have also provided guidance to the private sector, communities and other organisations on how to effectively prevent abuse and deal with it when it happens. 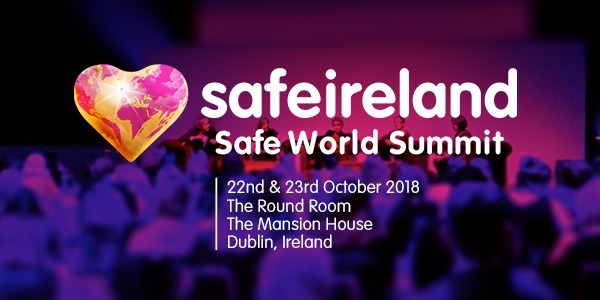 The Safe Ireland Summit in 2016 changed the conversation about domestic violence, we focused on the social change needed to make Ireland the safest country in the world for women and children. The Summit was an international platform we created to host these conversations and this innovation fuelling change. The Summit attracted 46 national and international speakers with over 300 people attending. Together we stood for love and justice. Since 2012, Safe Ireland has invested in researching domestic violence and understanding its impacts. We have completed, published and widely disseminated a suite of groundbreaking research reports focused on understanding more about women’s needs, the impact of trauma, the barriers to women and children’s safety and women’s experiences of seeking legal remedies. This body of knowledge has been the basis for our programme of work and provides government and policy makers with the evidence they need to make informed decisions. Through bringing public voice to the real experiences of women and their children throughout Ireland, we have increased the profile of the prevalence and nature of this issue. There is significantly more coverage of the reality of the issue being profiled on the airwaves and in politics daily. Safe Ireland works with community organisations to bring attention to the issue of abuse. This worked on a local level, bringing greater visibility and understanding to many parts of the country. We also launched the national Man Up campaign, highlighting the role of men in ending domestic abuse. This campaign has successfully been working to achieve a cultural shift in Ireland to create the conditions where false social norms are disrupted so that more men can feel confident to speak out against male violence against women. A Red C Poll in 2015 found that 39% of respondents in Ireland had read, seen or heard of the Man Up campaign.